Hoping the Roster gets larger. I am currently not overly excited for this roster. Skarlet is a great addition, but possibly Frost? Pass. After having Fujin in the cinematic and the game ignoring him as playable for way too long, I don't see feel encouraged he's going to be playable. Same with Rain, given as a DLC in MK and in story for MKX, but not for MK11? But please lets keep Kano around. Holding out hope on my end (D'Vorah looks amazing), but I'm not holding my breath. Any Kharacters you're missing? Feel that the roster is too small? I figure the smaller roster is due to the new engine, but I'm not sure. RE: Hoping the Roster gets larger. I miss Havik but I think he can make it as DLC. Don't think the roster is too small. I do think gamers have been spoiled too much the last decade or so. Do I want a lot of charachers? Yes. But it's also not realistic to expect these things. Games are getting more and more detailed, which requirers more work... and then we expect even more content? Even considering the extra modes they have probably put in? If they put something in that's more spectacular for single player mode than the story mode, we als have to consider that we're basicly given two games in one. And although I'm not a fan of DLC, considering there is already 1 pack of 6 confirmed with probably another one after that, that's another 12 on top of the 25. I'm just still on the fence: am I going to pre-order MK11 so I can have Shao Kahn (put they haven't shown the Kollectors Edition in detail) or am I going to wait for a Komplete Edition (thus getting all the characters [on disc]), knowing that I probably have to wait more than a year to 2 years befor I'm able to play MK11. Yeah, 25 is actually a lot for a game this deep and frankly, how many are you going to really play with? And does it really matter if you don't like a third to half of the roster? We love the classics, which had only 7-16 characters (MK1-4) and now we're getting so much more with DLC included. People need to relax about the roster size and amount of characters they dislike in particular. I'm just happy there's already so many great characters in and even the ones I felt got stale like Johnny Cage, Liu Kang, Sonya, Kano, Raiden, Scorpion and Sub-Zero are probably improved and a lot of fun with their younger versions in as well (if we go by what we've seen from the 3 OGs). I always loved the classics, but in MKX they did nothing for me. Nothing special about them. I think most people see these OGs are boring now like I did before I saw what they did with them. Scorpion has some great new moves and just looks the best he's ever done. Sub-Zero's ice walls are a great new addition that make me truly want to play with him again. Looks wise we can customise these guys anyway we want and their young versions are probably skins so even better. I loved Johnny Cage in MK2 and 4, not so much in later games with his look and attitude (story mode) going towards this lame cartoon network Johnny Bravo / fake macho type. Now I'm excited what he can bring to the table. So all in all, I think we should try to find the joy that the OGs brought and just learn to love them again and give them a chance. Then try to get into the MKX returnees as they are likely to improve, the totally new ones as well and just accept there's some classics who are sitting out and on the roster that you just don't like. To me if the leaked roster is true then I'm very happy. Disappointed in some absentees? Sure, but with DLC and possible secret unlockables, there's sure enough to please everyone unless you keep whining about the 3D era and OGs being in. The game seems to feel different, new kind of character in Geras and Kronika, a Skarlet totally reinvented, Baraka looking menacing and having his own stage, Kabal's awesome return and D'Vorah looking even more monstruous than before. Shao Kahn for once sporting a more beastly look. Quality and quantity wise this game is rock solid, so try not to get hung up on quantity too much as there's plenty to come. I think smoke should be in because this is the age of microtransactions and they would.make a killing selling skins in this game (head torso arms legs priced at $2 each or full body outfits on discount $5.99) and smoke and reptile have had the most look changes. 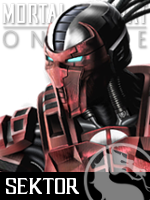 They can do deception smoke when he was a ghost, human smoke mk9, multiple variations of Ninja, and cyborg version skins. The same can be said for every reptile form since they are revisiting timelines, every skin is canon in the game. They did it with kabal already. They should even have a bi-han subby skin without the scar. Easy money! DLCs guest characters have licenses that prohibit them from making skins/gear like Michael Myers was in DbDaylight. Ditch the guest and have all MK DLC :/ even though thats never gonna happen. And don't forget there could be hidden stuff in the roster what we cant see. And what al lot of people also are forgetting, that its a business to make money. If you wan't more characters you have to pay for it. My gut feeling tells me, that there is lot's more to this roster than meets the eye. For example I don't think Frost is on the base roster from the start. 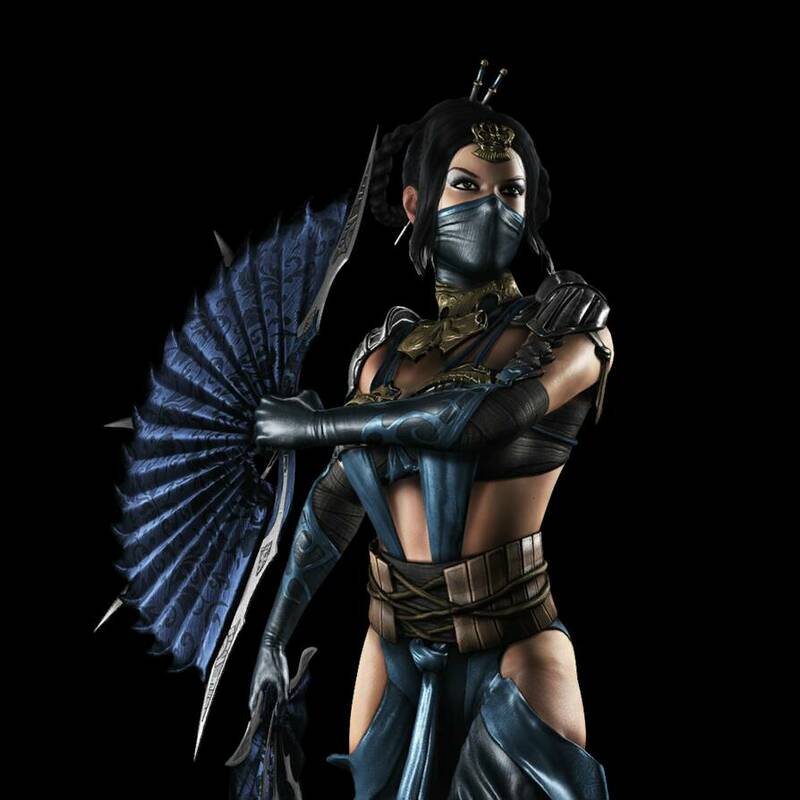 You have to unlock her threw one of the secret mode's or more likley that she is a premier skin of Sub-Zero. I thought that we where getting 6 or 7 premier skins in the first DLC. So would make sence to make her one of them. But I don't think she is on the base roster. 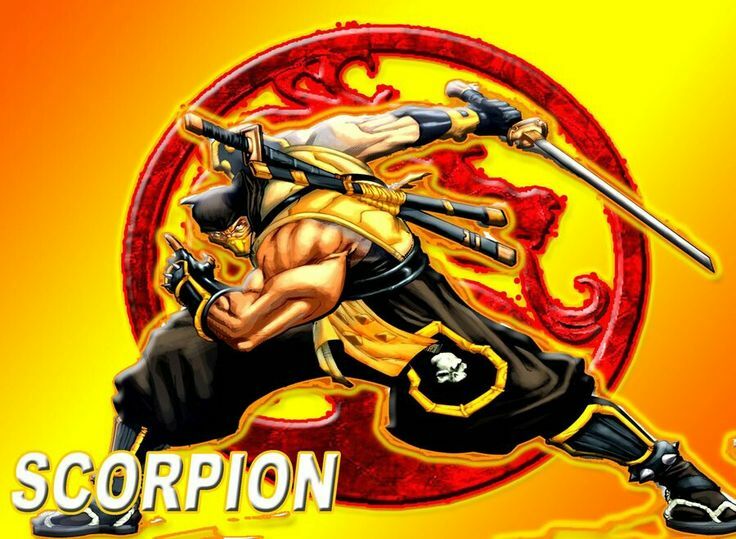 Further more I believe Ed-Boon told us that there would be 3 new characters in MK11, not 4 or 5 I we would to believe the stream leak. So calm down and enjoy it. Isn't it just three though? TER, CET, and KOL, with one of those likely being an early code name for Geras? Actually you are wrong, Barakall. In trilogy you had almost 30+ Kharacters. But i agree: 25 Spots are enough. If you would have 40+ the quality would suffer. Just look at Armageddon. This “leak” by The Game Zombie which was debunked because of D’Vorah’s inclusion, may actually hold a hint at a larger roster. NRS creates different builds for play testers to use comprised of 25 roster spots BUT the actual roster is larger. No I am not, Trilogy and Ultinate MK3 were collection games. Trilogy was just an upgrade to MK3 though. Same story and foundational gameplay, just more characters and a couple extra features. Base MK3 had what, 16 or something? Where barakall was actually slightly wrong is that MK3 wasn't all that loved in its time. That's why the Ultimate and Trilogy expansions were made before they moved on with MK4. Hmmm CET is a time zone (Central European Time) so that could indeed be a place holder (name) of Geras in the early development. Exactly! I never made such claims and that’s exactly one of the reasons the classics won’t be left out. People were very disappointed about Raiden, Scorpion and Kitana’s exclusion in MK3. Expecting the OGs to be left out is silly and it’s good you can count on this. Street Fighter 5 leaving out Sagat for example was just ridiculous. A different question while we are on the Roster topic. Is there an indication of how many people know the actual roster ?, are there any testers ?. And are they going to ad all characters in the beta version ?. I mean, the stage select screen did just get bumped up to 21, so who knows? Indeed like I have written earlyer, I think there is more to the roster then meets the eye. NRS is alwready hinting on that. Well don't those early game updgrades basically just serve the function of DLC in a day before DLC existed? The only base roster this franchise has ever had over 30 characters (before updates) is Armageddon. Up to Armageddon, every base roster saw an increase. Though it's quite understandable MK9's base roster was a decrease from Armageddon's, it's a little more grumble worthy that MKX's base also saw a decrease from MK9. This took me a while, and I forgot what my point was when it started. So um... I guess my point was data! There it is! Argue as you all see fit! Based on the evidence above, we can clearly see that NRS is right in line with recent entries in terms of character numbers. Given that there will be at least one pack of DLC and perhaps even two, plus the fact that Paulo (I believe) outright stated that there will be hidden characters... I mean, the ending roster could easily end up in the 35 to 40 range, which seems awfully good to me. Granted, those hidden characters (if there’s even more than one) might not be playable, but it seems odd they’d go that route after the outrage over all the cameos that wound up never being playable. Plus, we can all tell that the select screen is tailor made for additions. So let’s not get too hung up over who’s definitely in or who might be in and who might not. 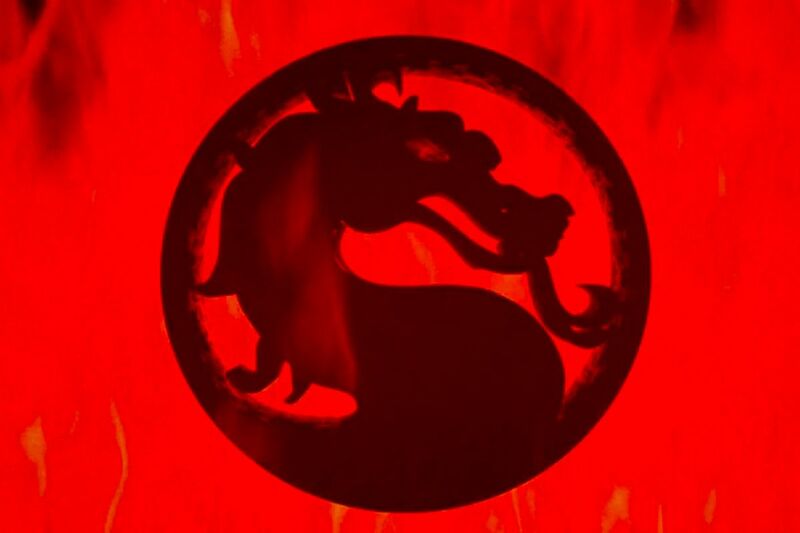 Personally, and I know this is just me, but this is shaping up to be one of my all time favorite rosters with Baraka, Kabal, Erron Black, Skarlet, Raiden looking fun as hell, Noob, Jade, Rain all hinted at, Shang Tsung seeming possible or even likely for the main roster or DLC. Sure, Fujin and Sareena, my two favorite reclamation prospects seem destined for either DLC or the scrap heap, but we can’t get everything we want, right? Heres hoping we get some of Fujin, Sareena, Havik, Li Mei, Reiko, Kai, Kira, Mavado etc as DLC! I think the best we can hope for is a base roster of 26 (25 + Shao Kahan) and one round of 6 DLC and one round of 4 - 6 DLC down the track, making a grand total of 36-38 playable characters by the end. Its probably not unreasonable numbers given the fact that each game has increased the number of DLC each time; MK9 - 4, INJ1 - 6, MKX - 9 (including Goro) and INJ2 - 10 (including Darkseid). I'm hopefully crossing my fingers for at least 12 DLC. If the first pack comes with 6 (and by all indications it does) I'd hope for at least one more matching pack. With Kronika, and all the time bending, and what ifs possible, this almost demands to be a legacy game, like Trilogy, Armageddon, and the latest Super Smash Brothers. Between Raiden's staff n the Courtyard's polearm interactable, I'm really rooting for Hotaru. Goro and Darkseid took base roster spots. I believe Shao Kahn is one of the 25. Not a small roster perse. Just wrong character choices imo. Cassie, Sonya and Johnny all in again.. Kano in again.. same can be said for a few other characters. I woulnd be surprised if there are some hidden unlockable characters (slots) tho.